On Thursday, May 15, Jacksonville, Florida hosts the World Arts Film Festival, a three-day exploration of 21st century short videos, discussion, workshops, and creativity. One of the stars of the weekend is Luka Lesson, an Australian hip hop artist, poet, and activist. Three of Luka’s videos will be among the 100 or so shown at the festival. This is turning into a big month for Luka Lesson. On May 1 he also released ‘Exit,’ his second LP, which Lesson produced in Beijing in collaboration with Jordan Thomas Mitchell, an American musician and composer. ‘Exit’ is a triumph of insistent rhythm, and tremendous writing. Its 11 tracks are evidence of a maturing artist’s skill in expressing passion, love, anger, and urgency. Check out ‘Celebrate The Storm’ here. One of the joys of my life these last fives years reporting and speaking around the world is to meet the impressive people doing their part to change what we’re doing. I met Luka last year in Beijing, where he performed at a conference of high school students from across Asia. I followed Luka that day. And as I told those kids, Luka and I come from different continents, different generations. But we do the same thing. We look at the confusion of what we face and translate it into language and images and narratives that help people understand. We make the complex simple. Luka’s worked hard on his craft. 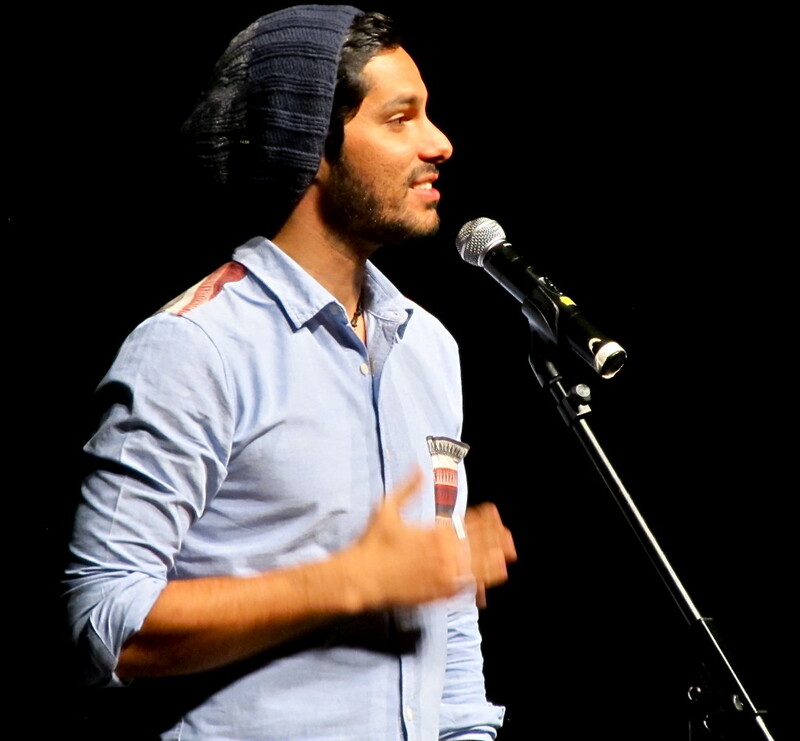 It’s been two years since his riffs on love, the playful prose on fate and birth, the gifts of lyricism and rhyme, the easy charm and apparent intelligence, touched so many audiences that Australia, almost by consensus, named the Brisbane-born artist the nation’s slam poet champion. It’s also been two years since Lesson released ‘Please Resist Me,’ a high wall of slam poetry that at times is slick hip hop ice blown to high ridges by the strong grooves of such songs as “Killing Time,” and “The People.” The album’s other tracks form emotional caves and cultural crevices jammed with politics and personal pain, love and anger, and learned critiques of custom and society. It’s 2014 now. Two years is a long time for an artist, now 30 years old, who’s joined insight and talent, hard work and epic command of ideas and words, to emerge as a singular and potentially seminal voice of his global generation. Those two years, though, provided the space for Lesson to bring audiences to their feet on four continents, to teach his craft to thousands of students, and to meet the talented sages and musicians and poets of his generation from over 20 nations. ‘Exit’ simultaneously achieves three breakthroughs. The first is Lesson’s capacity to cut new facets in the diamonds of love, death, broken romance, and boyhood drawn from the jewelry case of his own life. “R.I.P.B.T,” honoring a dead friend, has a dance groove that is especially good. The second is to penetrate global themes of repression, humanity, refugees, and chaos in a bigger, more knowing way than Lesson has achieved until now. “Celebrate The Storm,” which honors those who “cross borders and ignore whenever they are warned,” carries the narrative of heroes who fight the system on a melody of hope and admiration. ‘Exit,’ in short, is a coming of age for a startling talent. It’s also a coming of age that is entirely expected. Two years ago ‘Please Resist Me’ was variously shaded in the hues of a young artist’s passion for things real, and Lesson’s irrepressible ambition. The album is a joining of high-minded intellectual and emotional content rarely tried in rap music’s world of hyper self-consciousness. Though uneven, ‘Please Resist Me’ served, along with his winning live performances, as a big introduction to Lesson’s prose artistry, another way to advance what so clearly looked to be developing into an important career. The album’s lyrics, collected last year in The Future Ancients, his first book of poetry, featured above all else Lesson’s incomparable gift for the language. The writing, Lesson’s unambiguous strength, is genius. In ‘Exit,’ Lesson matches the pure resonance of his lyrics with the primary colors of a great score. It was composed, performed, and produced by Jordan Mitchell, a 24-year-old Floridian who’s lived and worked in Beijing since 2009. Though Mitchell is known around China’s capital as a guitar player, holding down hotel and restaurant gigs, he also plays drums, pianos, and other string instruments. As accomplished as he is as a musician, Mitchell is just as skilled as a composer and producer. His work in the studio, driven by a keen desire for what he calls “artistic dignity,” showcases his own prowess as a poet and rap artist. He’s recorded two albums and a third is in production. 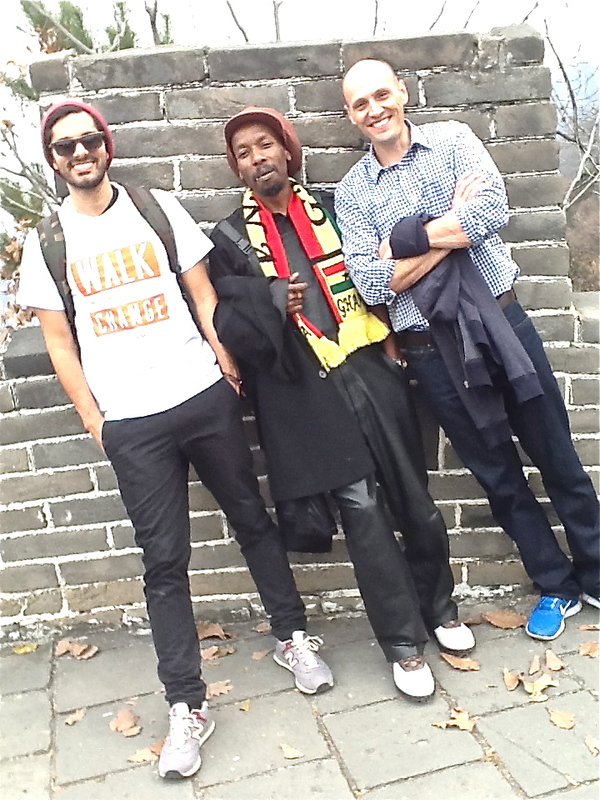 Lesson and Mitchell met in China’s capital and last year agreed to collaborate on an album, which they recorded in Beijing in November 2013. Mitchell joins Lesson on one song, rapping what Lesson calls his favorite verse on “An Oracle,” about the responsibilities of a poet to history. Luka Lesson describes ‘Exit’ as “an escape inwards — a journey into an abyss where we are lost and found.” But that assessment doesn’t seem, at least from the outside, like what’s nearly going on. A much clearer case can be made, judging from the album’s insistent groove and its remarkable prose, that just the opposite effect is achieved. ‘Exit’ is really a leap outwards, a launching to new paths, new forms, and Lesson’s new mastery of his life, his words, and his music. Few hip hop artists, not even the great American rapper Eminem, have marshaled the flair for nimble words, or been lavished by such prodigious prose talent. Now that Lesson is developing a musical groove, too, the circle that joins poetry, prose, rap, and hip hop with music and dance has closed. Previous PostPrevious The Michigan Land Use Institute Considers Changing Its Name — For What?